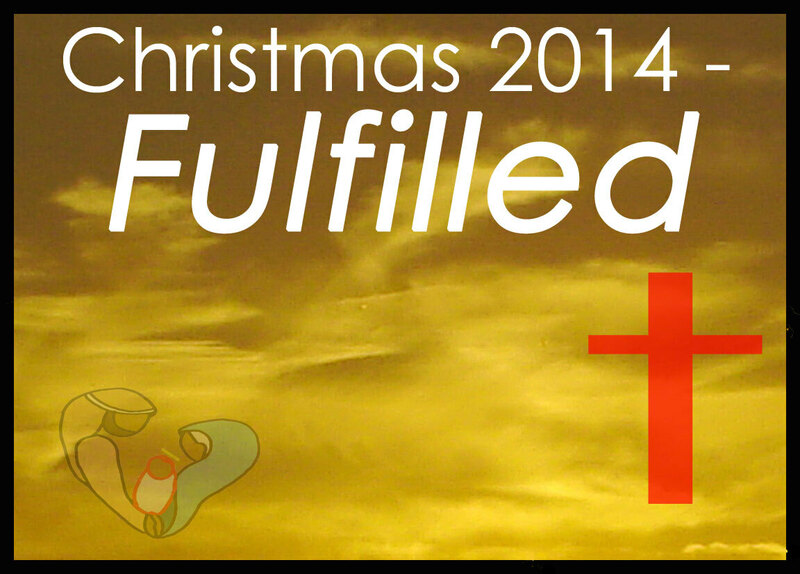 Fulfilled 14 - So what? During this brief series, we have seen just 45 of over 300 things predicted in history concerning the birth, life, death, resurrection and ascension of Jesus Christ. Predictions made about Him before He was born. The Messiah would be born of a woman - born of a virgin - in the town of Bethlehem. The Messiah would come from the line of Abraham and be a descendant of Isaac & Jacob - from the tribe of Judah and be an heir to King David's throne. This Messiah's throne will be anointed and eternal and his name would be Immanuel. This Messiah would spend a period of time away in Egypt. At the Messiah’s birthplace there would be a grand massacre of children. There would be a messenger sent who would prepare the way for the Messiah who would be rejected by his own people. The Messiah would be a prophet, preceded by Elijah and this Messiah would be declared the Son of God. This Messiah would be a Nazarene and bring light to Galilee. He would do this by speaking in parables and healing the brokenhearted. This Messiah would be a priest after the order of Melchizedek, be called King yet also praised by little children. This Messiah would be betrayed for a sum of money which would be used to buy a potter's field. This Messiah would be falsely accused, He would be silent before his accusers who would spit upon and strike him. This Messiah would be hated without cause and be crucified with criminals. This Messiah would be given vinegar to drink, have his hands and feet pierced, be mocked and ridiculed and soldiers would gamble for His very clothes. Yet despite all this, this Messiah would pray for his enemies. This Messiah’s bones would not be broken but He would be forsaken by God Himself. Soldiers would pierce Messiah's side on His death and he would be buried with the rich. But there is more! This Messiah would rise from the dead and into new life! WOW! This Messiah would ascend to heaven where He would be seated at God's right hand. This Messiah would be a sacrifice for sin before God and therefore anybody can take on this Messiah as their Saviour and be restored back into a living and dynamic relationship with God. If you are not already in a relationship with God through Jesus Christ, there is no need to delay! If you want to turn to God there is no need for delay. You are separated from God now, but there is no need to be. God is ready and willing to take you as His own right now. Just ask and He will take you in and help you. Over 300 predictions in the Old Testament look to the coming of a Messiah. That man we Christians believe was Jesus Christ. Over these 2 weeks, we will look at just a few of them! Look up the Bible references yourself to see! 26. Predicted: Messiah would be falsely accused. 27.Predicted: Messiah would be silent before his accusers. 28. Predicted: Messiah would be spat upon and struck. 29. Predicted: Messiah would be hated without cause. We hope you have had a great Christmas! Today we start to see predictions of how this Messiah would be treated by other people! 22. Predicted: Messiah would be a King. 23. Predicted: Messiah would be praised by little children. 24. Predicted: Messiah would be betrayed by a close friend. 25. Predicted: Messiah's betrayal money would be used to buy a potter's field. We hope you have had a great Christmas! We continue looking at Jesus the Messiah as predicted down through time and some aspects of the work this Messiah would do! 18. Prediction - Messiah would bring light to Galilee. 19. Prediction - Messiah would speak in parables. 20. Prediction - Messiah would be sent to heal the brokenhearted. 21. Prediction - Messiah would be a priest after the order of Melchizedek. It’s Christmas Day! Merry Christmas! We continue our Christmas series for 2014 today by looking at who this Messiah would be! 15. Predicted: This Messiah would be a prophet. 16. Predicted: This Messiah would be preceded by Elijah. 17. Predicted: This Messiah would be declared the Son of God. 11. Prediction: Messiah would spend some time in Egypt. 12. Prediction: A massacre of children would happen at Messiah's birthplace. 14. Prediction: Messiah would be rejected by his own people. 7. Prediction: Messiah would come from the tribe of Judah. 8. Prediction: Messiah would be heir to King David's throne. 9. Prediction: Messiah's throne will be anointed and eternal. 10. Prediction: Messiah would be called Immanuel.